Barbie 11th in the Series - Smasheroo. 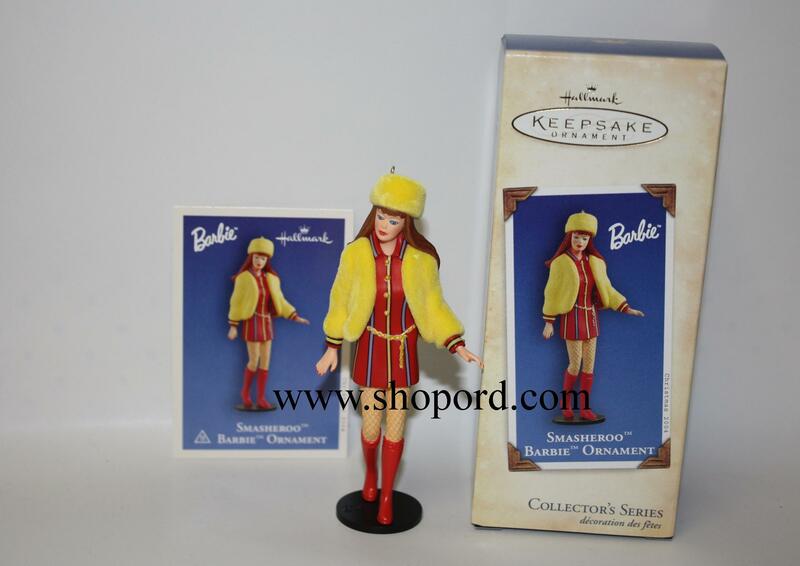 Barbie is wearing a yellow plush hat and its matching jacket with a low-belted shirtdress in cool stripes. She also is wearing a patterned hose and tall red boots.